4AMTek is a manufacturing solutions company specializing in industrial microwave processing equipment and systems. All products and services are now listed on their website. The interior product webpages include engaging CTA as well as contact forms for a better user experience. Each product offers website visitors the ability to download the specification sheet and view several angles of the large microwave processing systems and equipment. The companies Distributors now have a dedicated section of the website to highlight those specific locations. This has become a very popular feature not only publicly but internally as well. 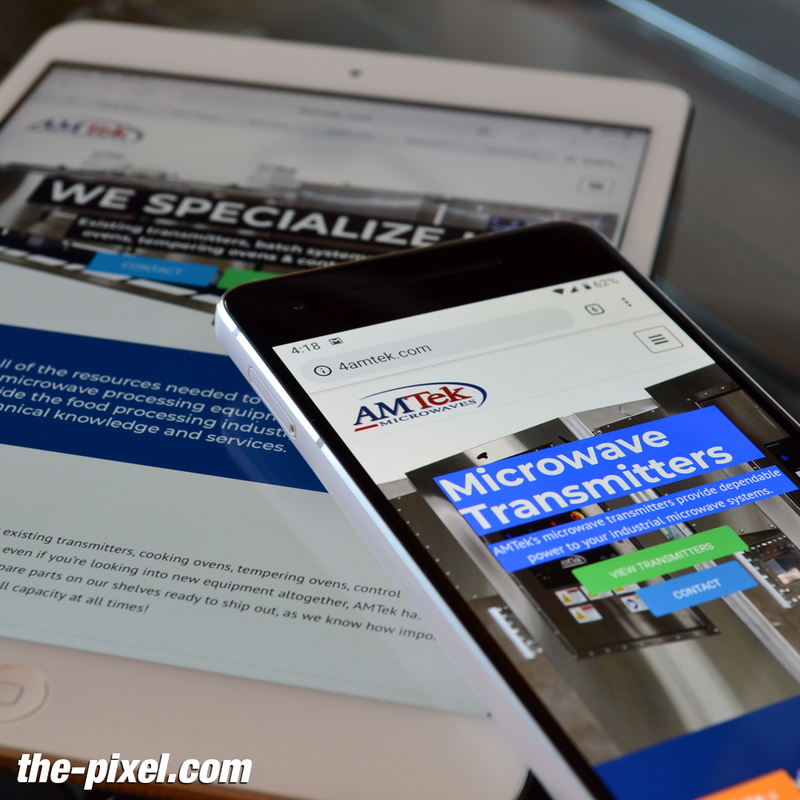 Since the website redesign 4AMTek has seen their bounce rates decrease across the website while increasing their sessions and site duration.